Translation by George Long revised by Duncan Steen. I would. 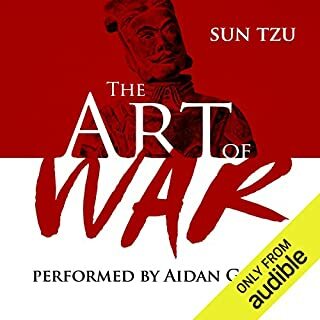 It is one of those books that you don't just listen to once, or listen to in one sitting. Because the structure of the book is the multiple self-reflections of Aurelius, you can dip in and out. Listen to 3 minutes and you will get something to think about for the next 3 hours. If you are 'seasoning' this book, you are doing it wrong. Reflect on his reflections! Aurelius constantly stresses the importance of acting in the most stoic way, how to improve yourself and those around you without being dominating nor imposing. The great little gems of knowledge are interspersed with some comments on the science / worldview of the time, which makes it a nice historic account and truly set in its time. Nonetheless, the importance of a stoic attitude to life is still relevant today. Without a doubt it is one of the important texts in history about being a good human being. It's amazing to think that Marcus Aurelius was wiser 2000 years ago than most of are today. I listened to this while I was waiting for news regarding a life threatening disease. It helped me realise that whatever happens will be ok. It is difficult to keep concentrating on the words all of the time but that does not matter because the important things are repeated in many different ways. It is stoicism in the extreme. It certainly helps one to keep ones feet on the ground. And all that coming from a Roman Emperor. This is a book with timeless ideas and philosophy on how to deal with the ups and downs of life. Marcus Aurelius writes with a wisdom that is more insightful and real than most of today's self-help life coaches. A deserved classic of ancient Stoic wisdom. The book is a high-brow self-help tome. It contains useful guidance for the everyday practice of the virtues magnanimity and equanimity that allow man to be calm and sociable but also independent of the chaos of natural transformation and of social pressure. That, anyway, is the theory. 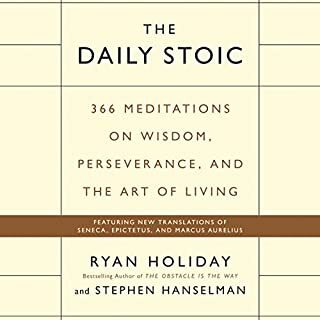 Whether it works for you depends on your capacity to reprogram yourself by accepting the dubious metaphysics and problematic ethics of Stoicism. Fans of Buddhism will find a lot to like here, but critics of quietism may want to rebel. But whatever the flaws of the philosophy, these meditations are an admirably lucid and well-argued presentation of that popuar balsam for the aching soul. A wisdom that can change your life. I wish i had read this before. worth another listen. This is a man who's station and power exceed that which we may never hope to obtain, yet he suffers the same. Here is given advice that will benefit the reasonable who will practice it, repeated over his life time, proving even he lost or feared loosing his way. The performance by Duncan Steen is excellent. He has a real understanding of the words and context, which give it life. ... to the modern world and the human condition. 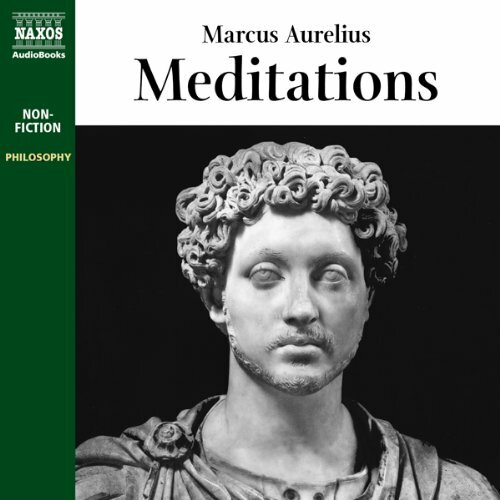 An excellent reading of the meditations of Marcus Aurelius. Best enjoyed in a quiet room sitting comfortably on a good chair in my opinion in order to get into the appropriate, reflective state of mind. Good book to open the mind into the universe and close it against any narrowness of thinking. I would, as it discusses topics that naturally turn into good conversations with friends. The thought processes on death which emphasises that we are only on this earth for a short time and not to get to caught up with the successes of this life as for all mortals the result is inevitably the same no matter how much some people have been able to accomplish. The author encourages readers to accept that we are going to eventually pass away. Once we accept this we can learn to enjoy the time we have on this earth without creating unnecessary expectations on ourselves and therefore maintaining a good life balance. What does Duncan Steen bring to the story that you wouldn’t experience if you had only read the book? I have enjoyed listening to Duncan. He is very passionate when reading this book and he makes it his own by incorporating this when reading the book. 2000 years ago, the ancients dealt with the same issues we deal with now. 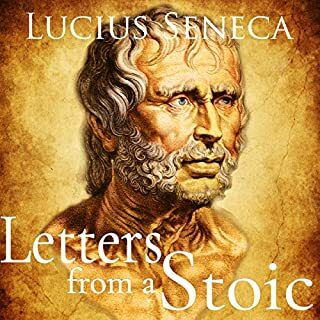 The Stoics found what it meant to lead The Good Life. 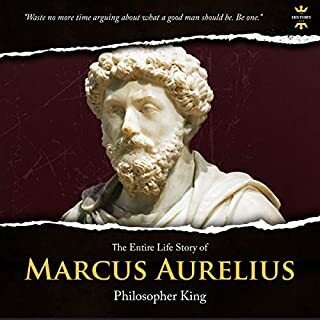 Of those, the personal thoughts of Marcus Aurelius give an incredible insight into understanding the philosophy, and how to apply it to day to day life. 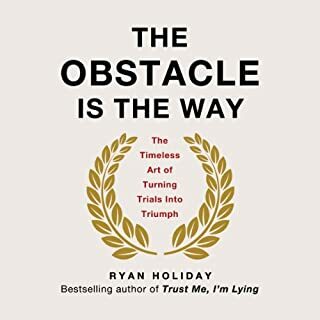 A book everyone should read by a very ineresting guy. Audio quality is good and easy to follow. An invaluable listen. These meditations will forever hold correct. I would recommend to anyone interested in a heighted understanding and perspective of life. great really insightful look at life. gives good perspective, very rejuvenating learner a lot. thanks! Easy to follow and have listed to many times. 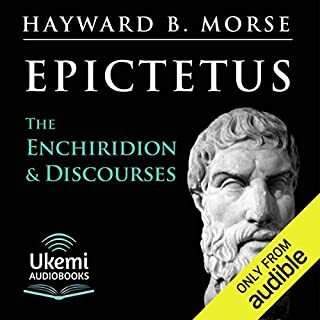 The narrator channels Marcus Aurelius beautifully and communicates Stoic philosophy very well. A very great work. The meditations of Marcus Aurelius have never been more relevant to us. True wisdom for the ages.